It’s a sad fact that most sales presentations and pitches are instantly forgettable. And forgettable presentations are unsuccessful presentations. One of the biggest reasons presentations are unsuccessful is because they follow a structure that has been around since the seventies. And how many of your prospects were even around in the seventies?! Does this mean you need to overhaul your entire presentation? Not necessarily. You can hit refresh on your presentation and make it more impactful simply by eliminating elements that are unnecessary, irrelevant, or redundant and replacing them with a more customer-focused approach. Update your Opening. Like the first scene of a movie, the opening of your presentation or pitch should grab your audience’s attention and remind them why they bought a ticket in the first place! Set the stage for a more impactful presentation by starting with what’s of most interest to your customer. Try starting with a customer success story for an instant boost of credibility. Deliver a benefit or insight relevant to the customer or customer’s industry. Reflect back something you learned about your customer’s business through discovery. Dump your Company Overview: All the research shows that buyers today don’t care about this information as much as we think they do – or, they’re already familiar with it. Instead, focus on your customer and their own situation in those first few minutes of your presentation or pitch. Reconfirm their challenges and objectives to make sure that you are on the right track before you launch into your presentation. Tailor your Agenda: Agendas can be very valuable for creating a framework for your presentation as well as providing a sense of momentum. Agendas made up of a list of product names or features however simply confuse or bore busy prospects. Take a few moments to tailor your agenda to your prospect by using topics that describe your prospect’s issue or business process rather than your product or feature’s names. Focus on a Few Key Features: The goal of a sales presentation is not to present as many features and capabilities as time allows. This sacrifices clarity and relevancy and causes customer tune out. Instead, focus on a few key features that will have the greatest impact on your buyer. Develop a Purposeful Close: The close is typically the most awkward part of every sales presentation. 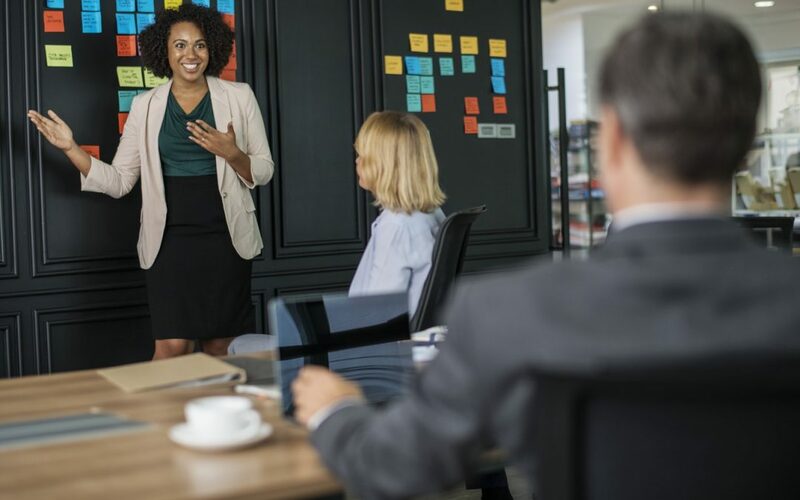 Presenters tend to either abruptly “stop,”, or simply “whimper” to a finish – both of which fail to reinforce key messages or move the sale forward. A purposeful close recalls the objectives you set out at the beginning, summarizes key points you want your prospect to remember, and tells your buyer what you want them to do with a clearly defined and measurable next step. Click here for 5 ways to close your presentation on strong note. Julie Hansen helps salespeople create and deliver winning presentations and demos. Julie is the author of Sales Presentations for Dummies and ACT Like a Sales Pro! As a Keynote Speaker and Presentation Coach, Julie has been recognized as one of the 35 Most Influential Women in Sales by SalesHacker and a Top 50 Sales Bloggers by Top Sales World. Julie spent 20 years as a sales leader in technology, advertising, and media. She also worked as a professional actor, performing in over 50 plays, commercials, and television shows. Through her company, Performance Sales and Training, Julie helps salespeople leverage key principles from performance to communicate with greater confidence, clarity, and influence.